A once in a generation voice. New York born, Paris raised, Chase Emery Davis, is a Jazz, Latin and Blues bass baritone crossover singer, multi genre male solo vocalist, producer, and recording artist. He is London based. Another Photo by David Behl from my archives. One fabulous Golconda diamond ear pendant by Cartier was bought at auction. 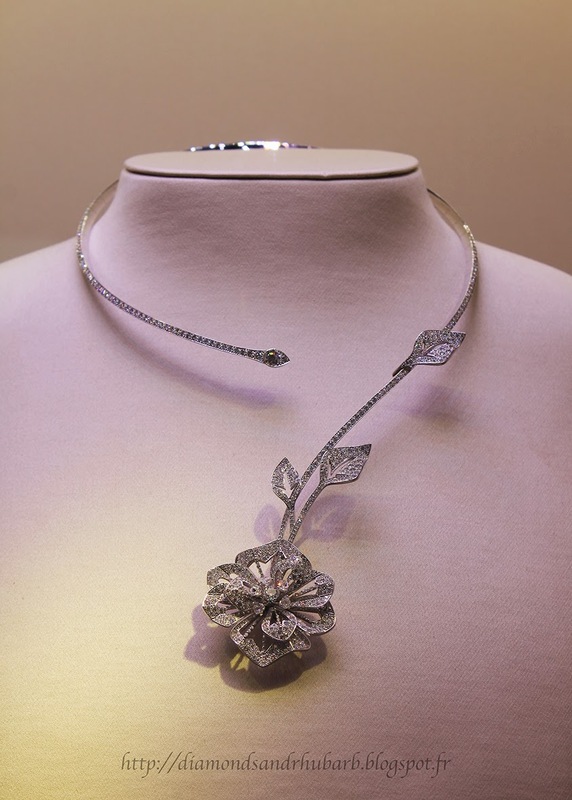 The spectacular old cushion-shaped rose-cut Golconda diamond was re-mounted in a platinum necklace, with Colombian emeralds, fancy cut diamonds, and diamond briolettes. 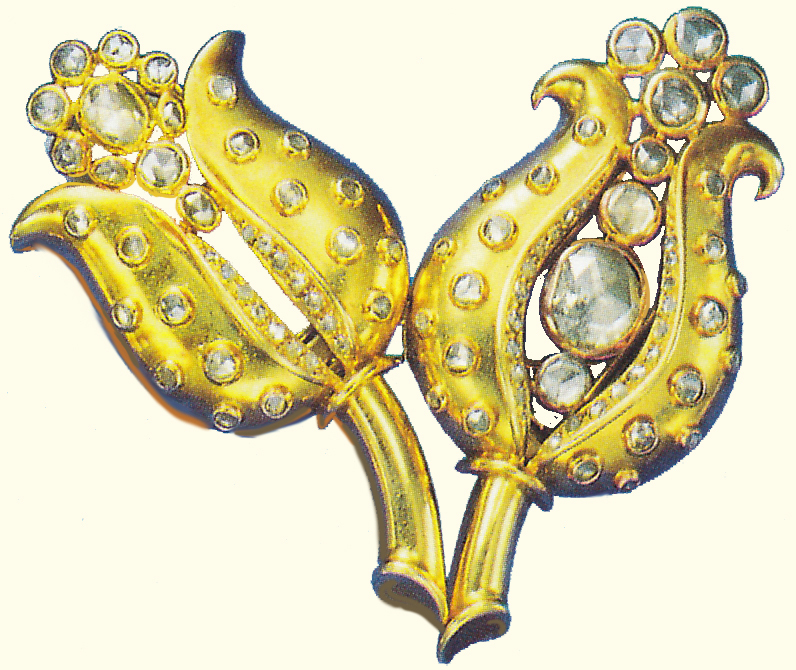 Golconda diamonds are named for the city in India which was the center of the diamond trade in the 17th century. 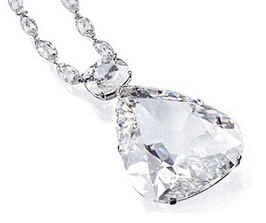 These diamonds are renowned for their clarity. 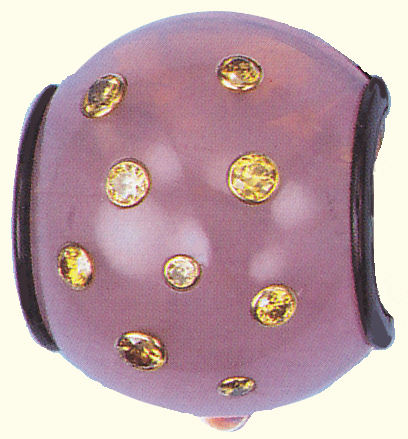 An old color grade referred to them as limpid which meant, entirely without body color with and a bluish cast. 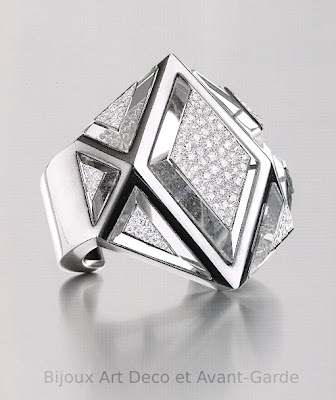 Golconda diamonds are some of the most sought after diamonds in the world. Some years ago (2010) this Golconda diamond sold at Christie's Geneva. it is an antique 26.17-carat, D, internally flawless pear-shaped, type IIa . It sold for $3,483,213 or $133,000 per carat. Suzanne Vuillerme later Belperron (1900-1983), was born in Eastern France. 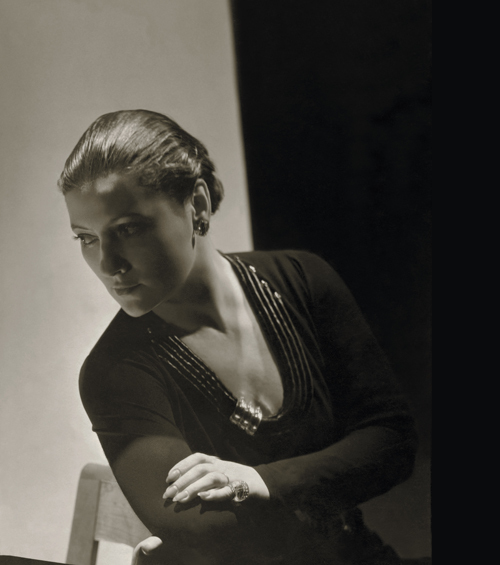 She was intrepid, courageous, and extraordinarily talented. Suzanne Belperron was one of the most innovative and original jewelry designers of the 20th century. 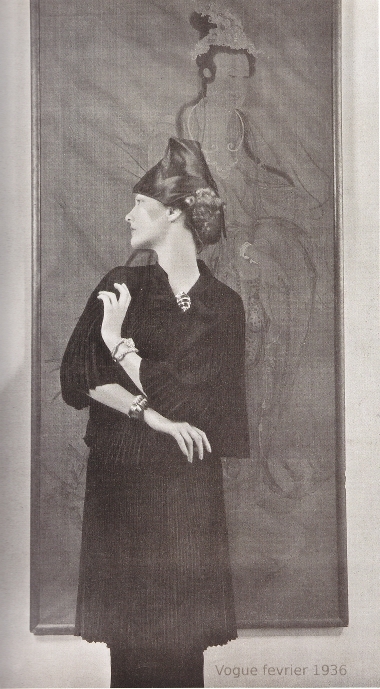 As a young woman She left home to study art at the École des Beaux-Arts in Besançon. 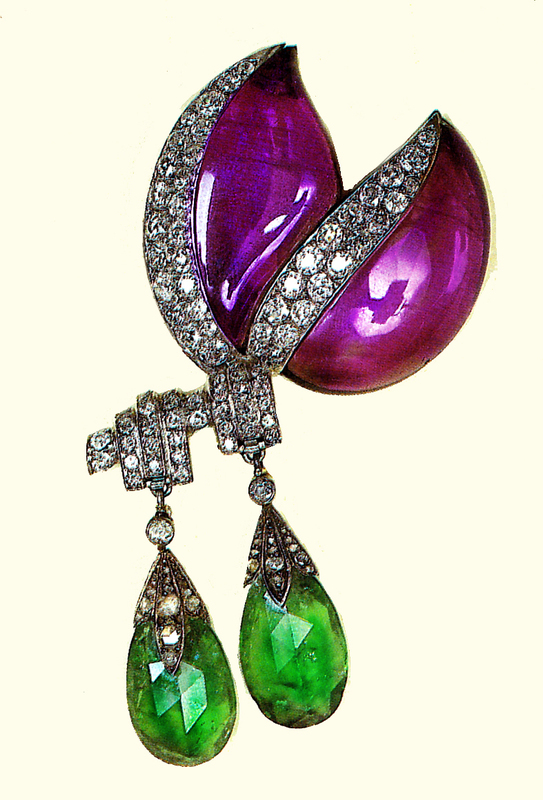 She was hired by Jeanne Boivin head of the firm founded by her husband Rene Boivin who died in 1917. The Boivin firm was well established, they were known for their bold designs. Suzanne Vuillerme married civil engineer Jean Belperron in 1924. Belperron distinguished herself at Boivin. 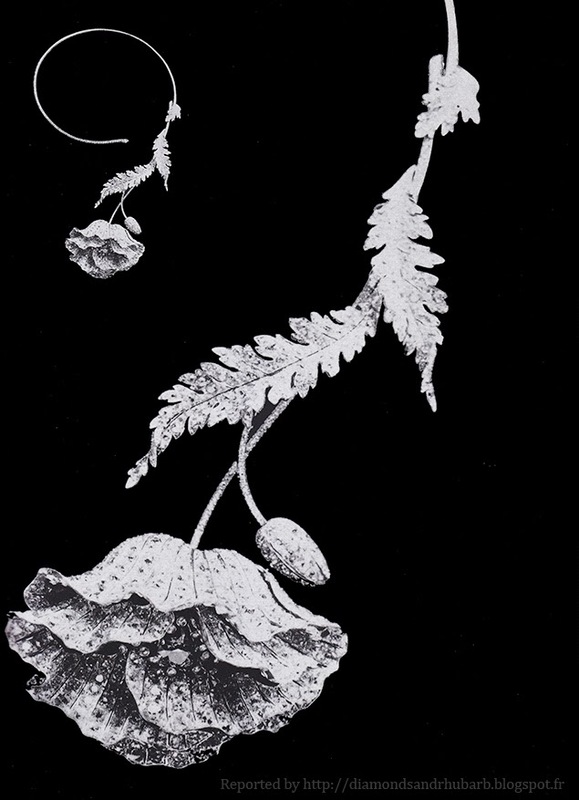 In 1932 left Boivin to work with a Bernard Herz. Suzanne Belperron was a beautiful stylish woman with a tremendous eye for style and design. 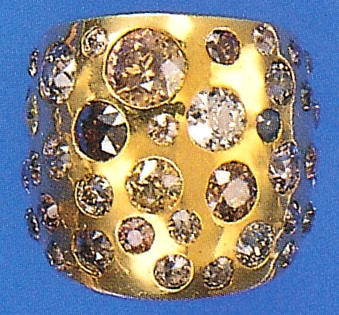 Ring, yellow gold, fancy colored diamonds. She literally pushed the boundaries, in this bracelet the stones are hanging over the edges. 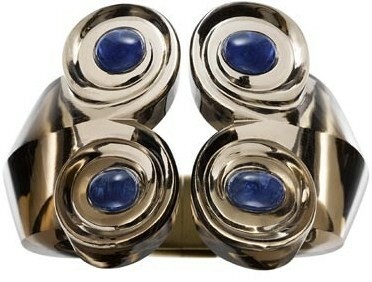 She was masterful in her use of multiple stone setting technics. 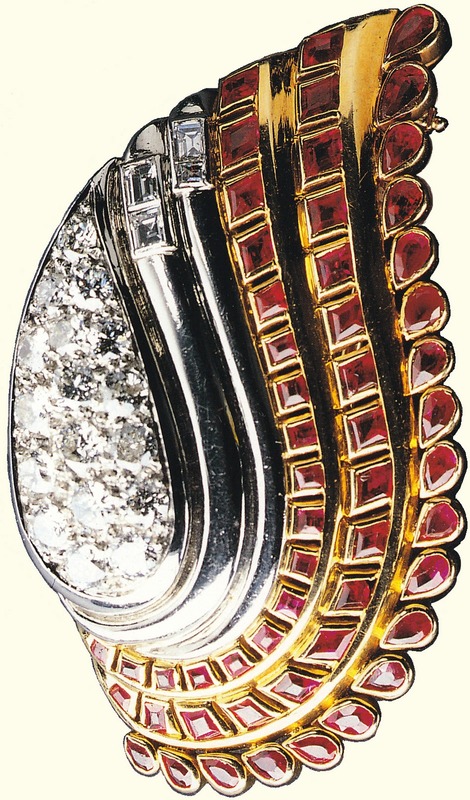 In this brooch she used, pave set diamonds in patinum and yellow gold bezel set rubies. 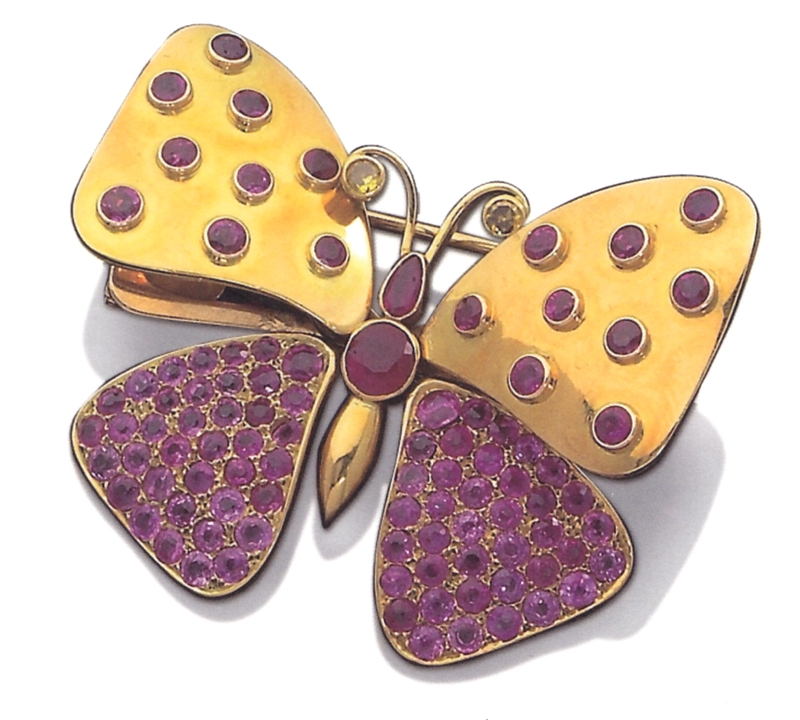 Yellow gold bezels and pave set rubies with yellow diamonds. Bracelet, yellow gold, sapphire beads, sapphires, and diamonds. 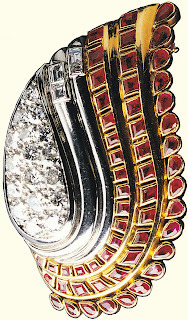 Suzanne Belperron wears a Clip brooch at the decollete, with one of her signature rock crystal rings. Clip brooch, rose Quarts enamel, and yellow diamonds. The Dark history of the war years in France. 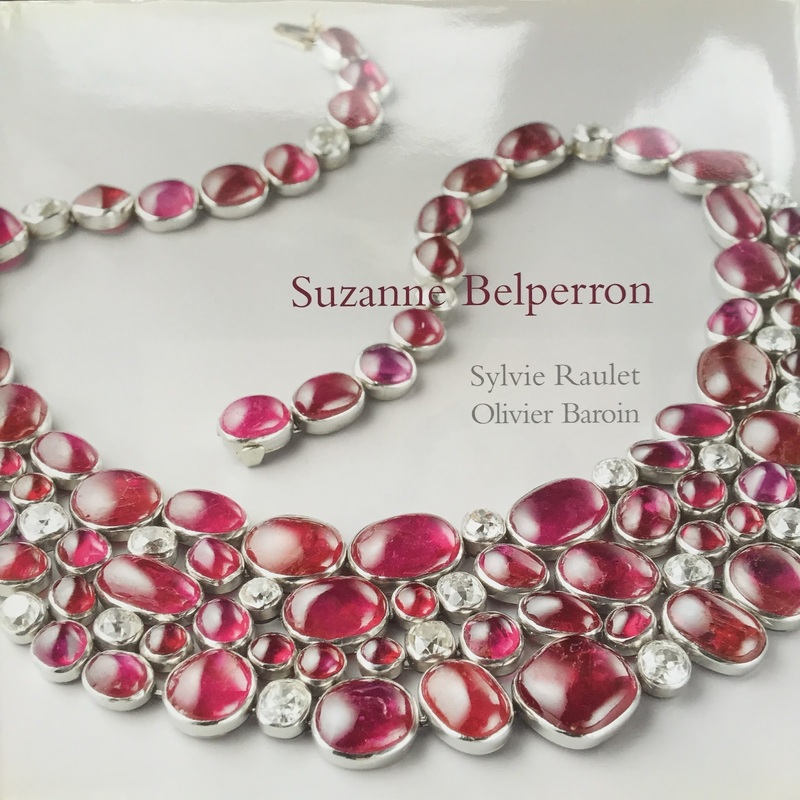 Suzanne Belperron was a much sought after European jewelry designer. 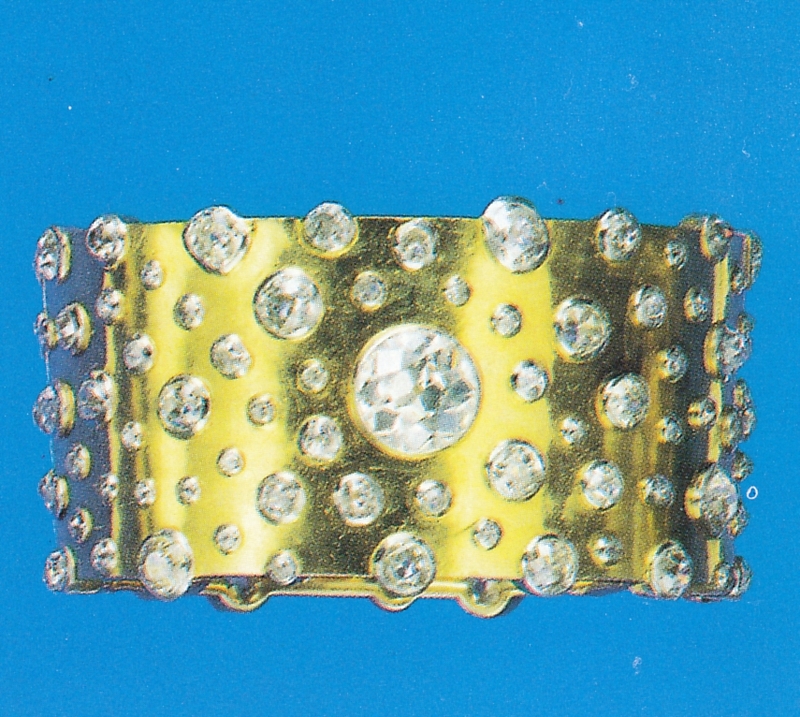 She was a jeweler's jeweler. In 1939 she received numerous letters with job offers urging her to leave Europe. She wanted to stay with her husband who was working in occupied France. Bernard Herz was an important pearl dealer in Paris. Herz was also Jewish, like so many of the French Jews he was deported. 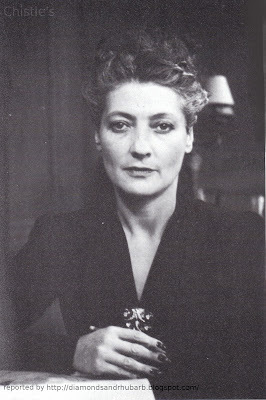 Madame Belperron secured Benard Herz's release once, but failed a second time. Bernard Herz was sent to a camp. 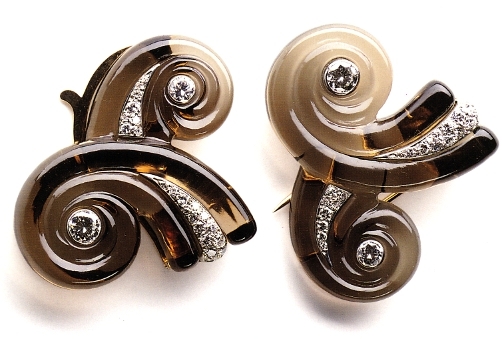 Many Jewish families and merchants were in fact turned in to the Nazis by the French. 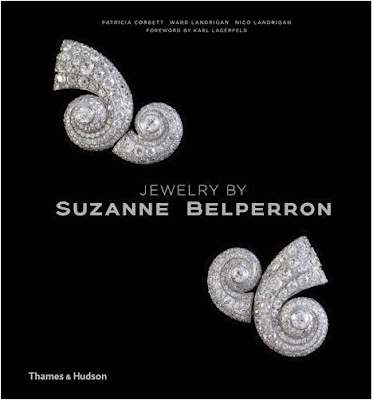 Heroically In 1941 Suzanne Belperron set up a holding company under her name to protect the remaining assets of the Herz family, for Bernard and his son Jean. 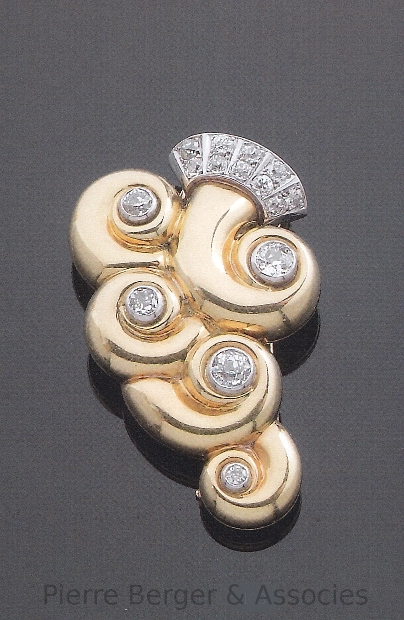 Herz's buisness had been declared a Jewish enterprise; as such like many Jewish properties, the assets were subject to theft and unregulated sales which benefited the Germans and the French collaborators. Sadly Bernard Herz died in 1943. His son Jean survived the war. He returned to Paris and in 1946. 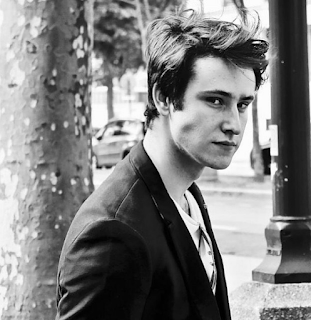 The firm of Herz-Belperron was born. 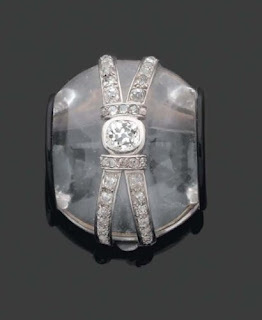 Suzanne Belperron's use of carved hardstones, like rock crystal, smoky quartz, rose quartz, and chalcedony was unique. 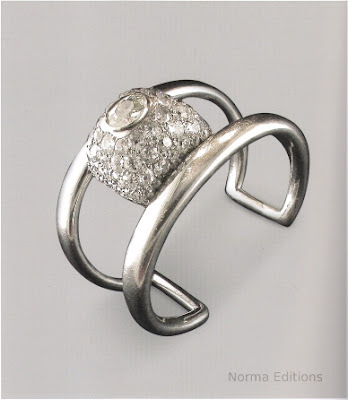 She made hardstone sensual and soft, by playing with voluptuous shapes and surface finishes (matte or polished). She inlaid these evocative carvings with precious stones in innovative settings. 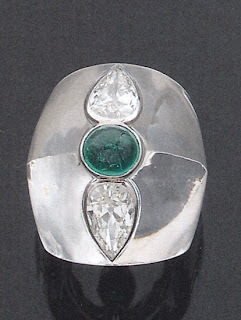 Ring rock crystal, diamonds and cabochon emerald. Ring designs by Madame Belperron. 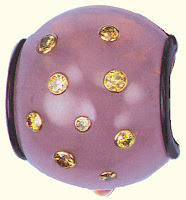 Bracelet, carved smoky quartz, and cabochon sapphires. Chalcedony diamonds brooch and earrings B. Herz. 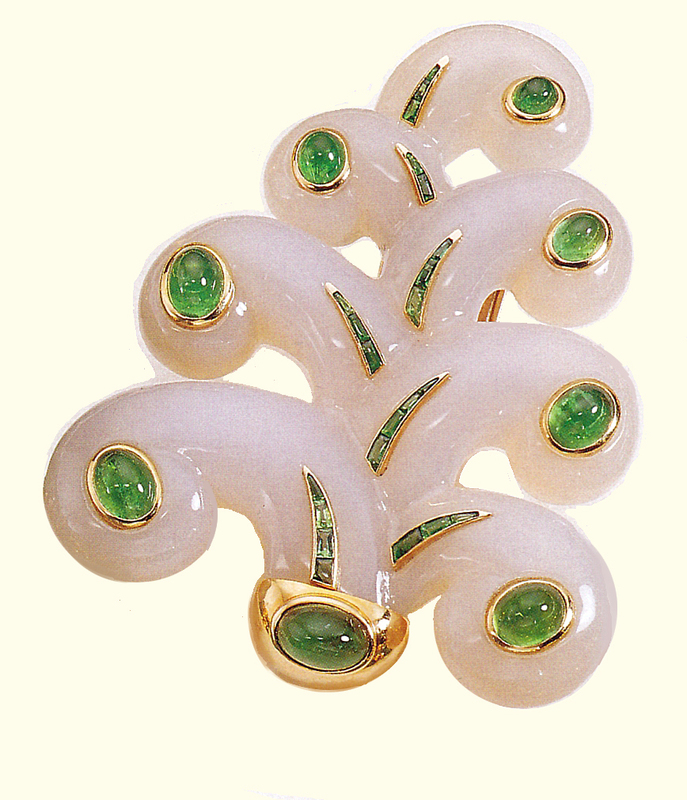 Brooch, chalcedony, yellow gold, with calibre-cut emeralds and cabochon-cut emeralds. 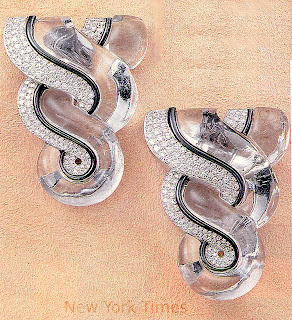 These are the real thing! Suzanne Belperrom did not sign her work nor did she have a poincon (French Hallmark) her pieces were signed by the ateliers that worked for her. 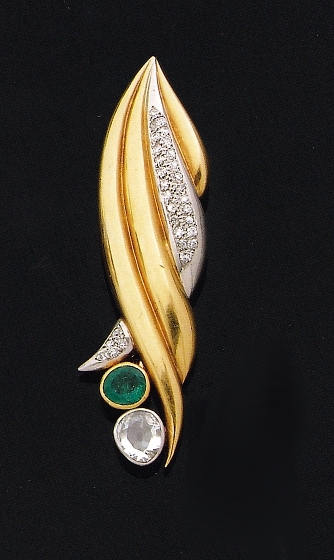 Some are signed by B Herz, and Herz-Belperron. 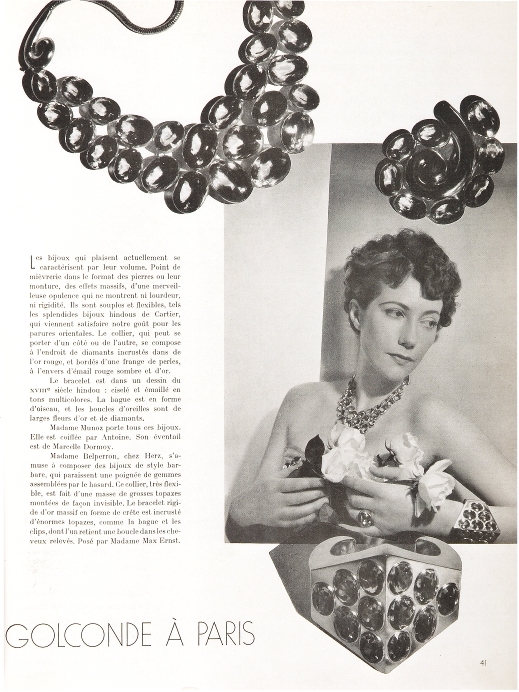 in French Vogue September 1935 mention is made of Madame Belperron a Chez Herz. Pictured here is the wife of the artist Max Ernst, photographed By Horst. Madame Belperron had many stellar clients amongst the taste and style makers, royalty, and celebrities of her day, like Diana Vreeland, and Elsa Schiaparelli, and the Duchess of Windsor, to name just a few. 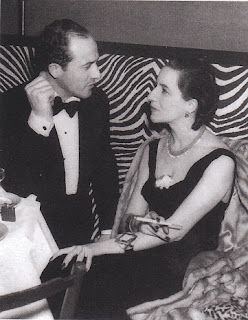 Diana and Reed Vreeland at El Morroco 1938. Mrs. Vreeland is wearing her Belperron bracelet. 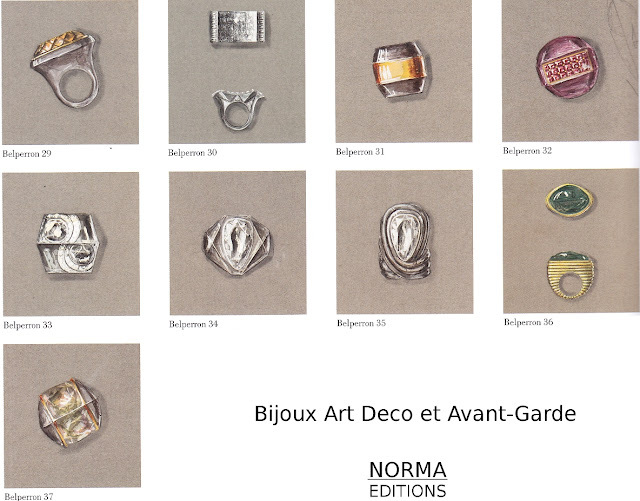 Bijoux Art Deco et Avant -Garde, Norma Editions 2009. 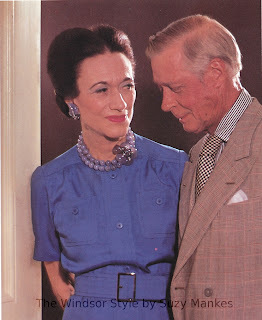 The Duchess of Windsor's blue chalcedony, diamond, and sapphire set. 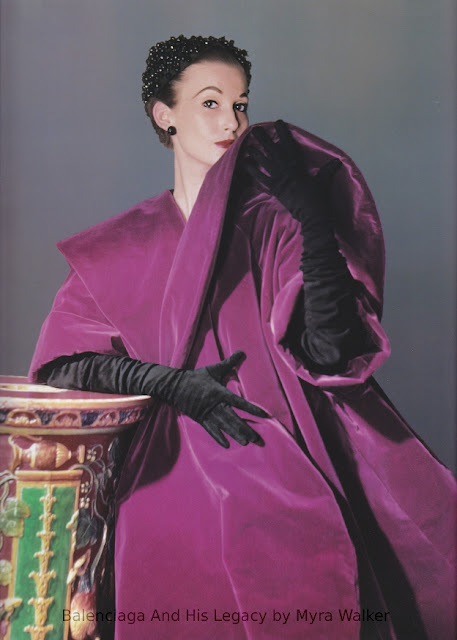 Madame Belperron kept up with style, she was an admirer of Balenciaga. 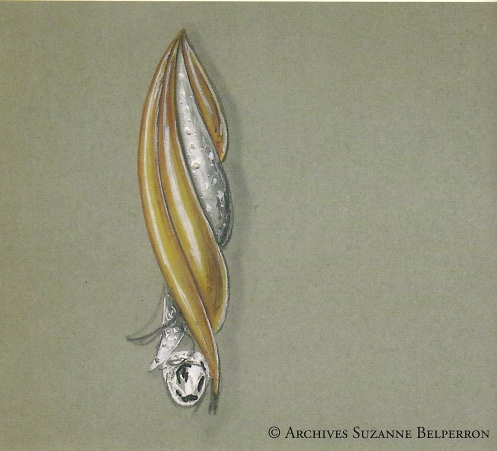 In 1963 Suzanne Belperron was awarded the Legion d'honneur for her efforts with the french resistance, and her lifetime of artistic excellence. She retired in 1974. 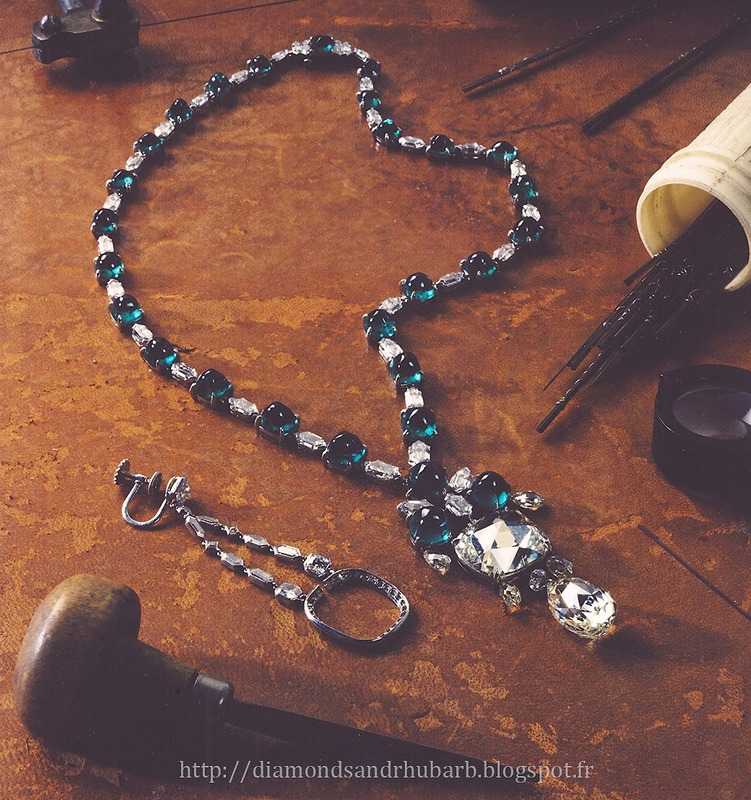 This demure necklace is hesitant, almost timid and rough-edged. 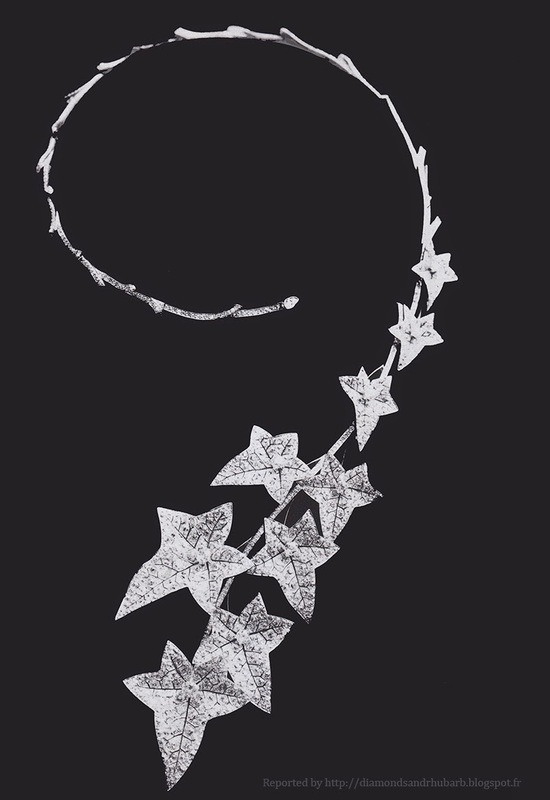 The line lacks balance and finesse. It is a pale reflection of the sensational sinuous originals in Boucheron's own archives. 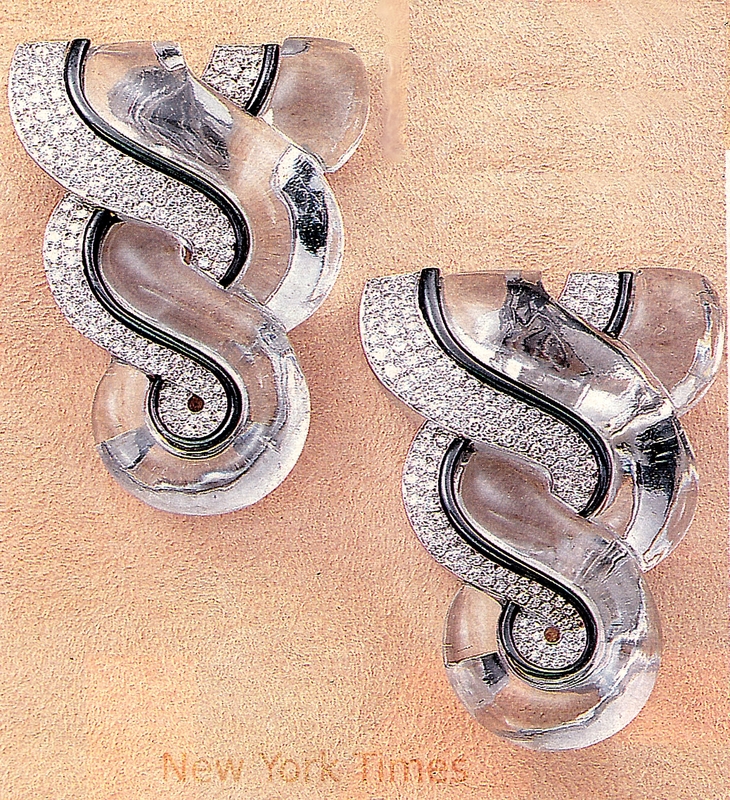 Diamonds set in silver laminated over gold. 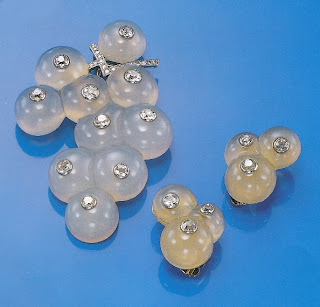 The Originals were designed by Paul Legrand in the 1880's, they were gorgeous daring and still unequaled in their stylish verve. 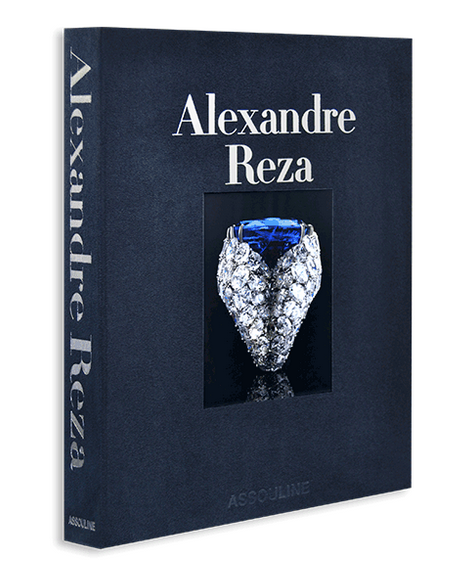 by Vivienne Becker for Assouline. and master jeweler on the Place Vendôme in Paris. 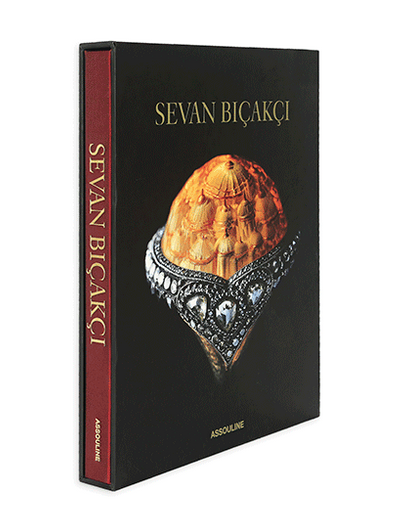 Sevan Bicakci Is a Turkish master jeweler with a distinctive style. 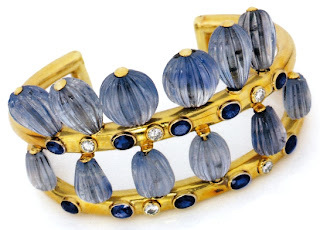 VIVIENNE BECKER is a superb writer, jewelry historian, and curator. 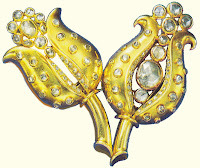 She is the writer I most admire working the in the field of jewelry today. Her knowledge is profound, and her writing is absolutely wonderful. Although her background is journalism she transcended that years ago. 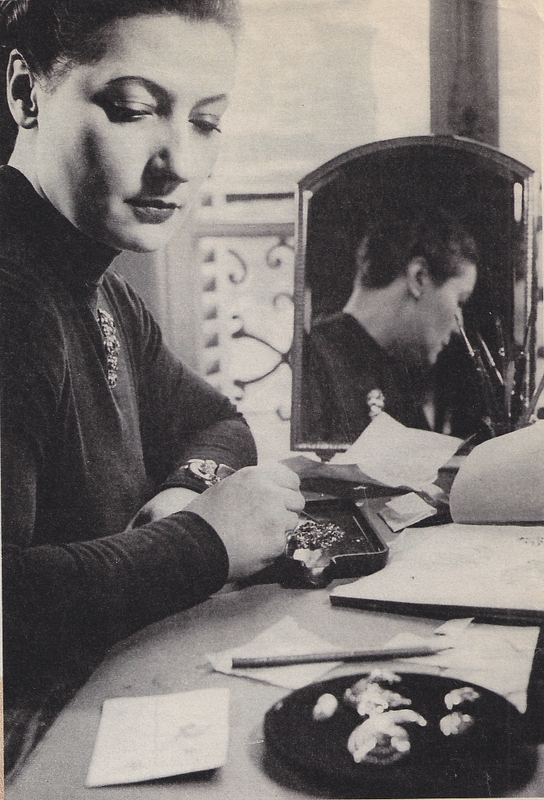 Her writing is never mere reportage whether in journals or books. 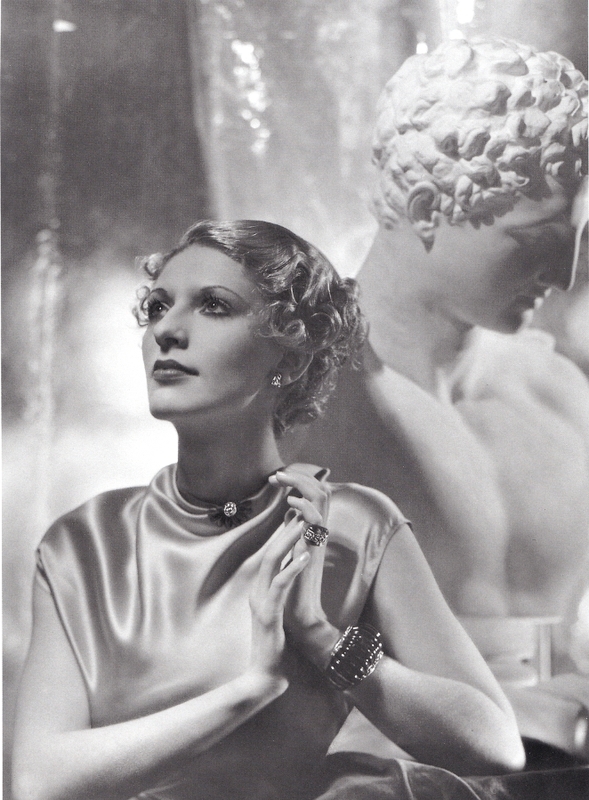 To own any of Vivienne’s many books is to own a treasure trove of unique and original insight and information. She is always a delight to read. 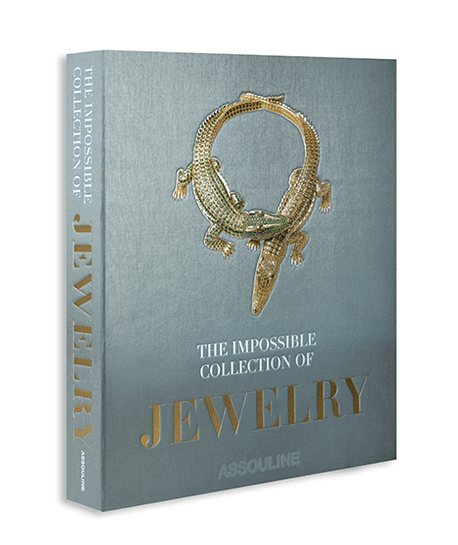 My favourite book in this group is The Impossible Collection of Jewelry. 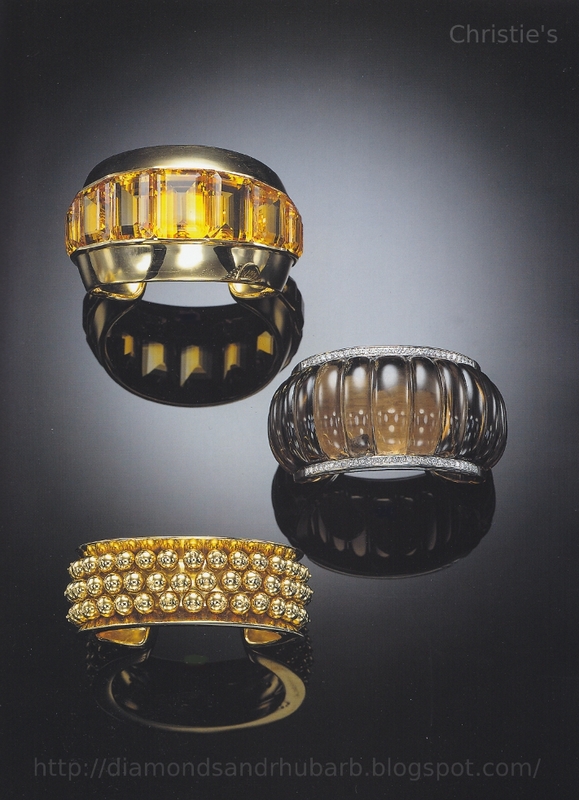 I consider it an exquisitely curated selection for the ultimate jewelry box. 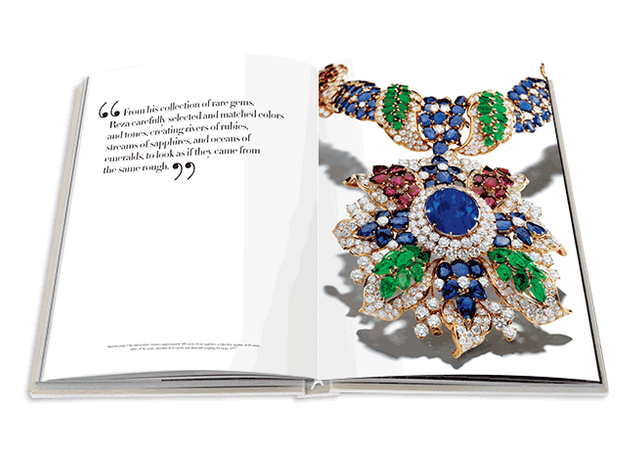 Vivienne places the jewels in their original context and explains why they are timeless treasures sought after by connoisseurs today. 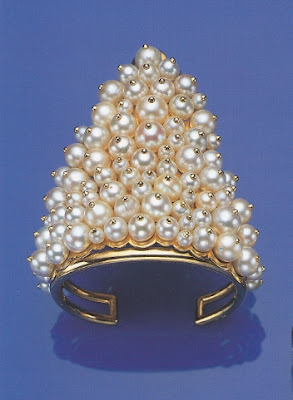 Who better to select and write about these benchmarks of jewelry history? Her choices are outstanding. Her words are alluring, the photography is exquisite. 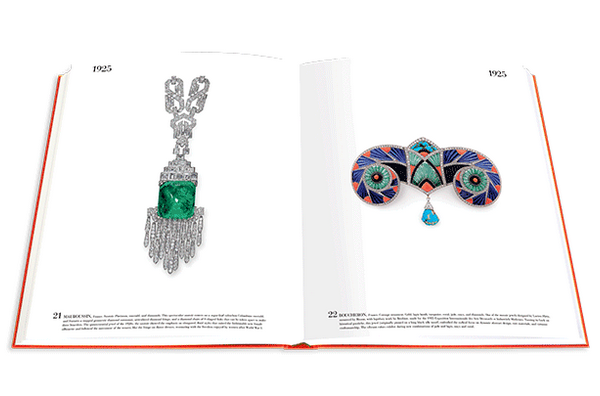 This book features some of the best jewels of the last one hundred + years. 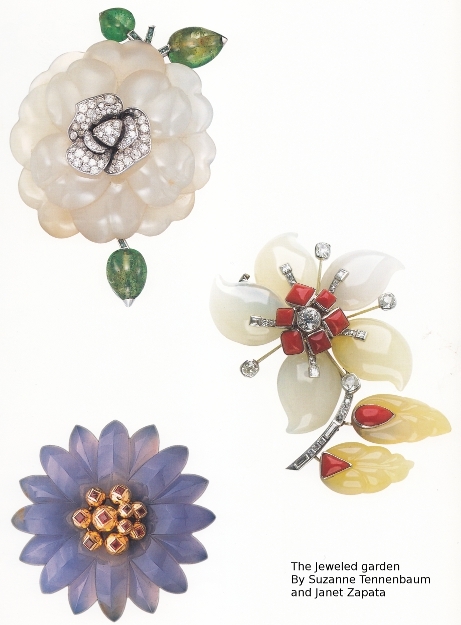 From the Wiener Werkstätte and the Tiffany Studios, Art Deco masterpieces by Cartier, and mid century designs by Verdura for Chanel, exquisite creations Van Cleef & Arpels, and Graff, and the ultimate jeweler living today, JAR in Paris. 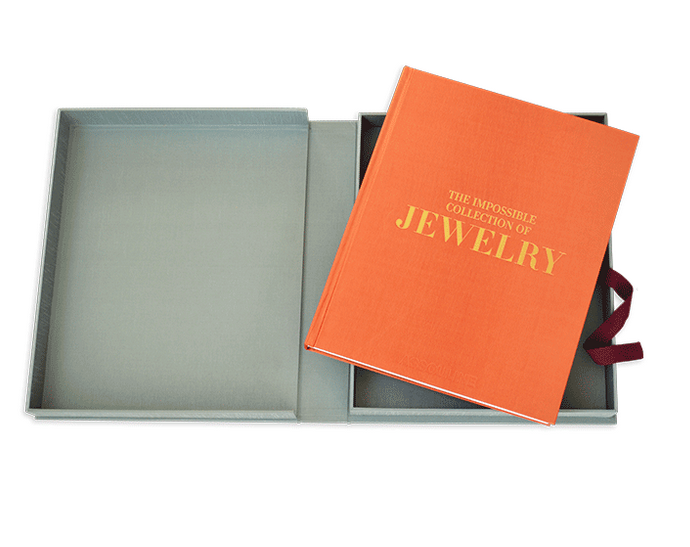 hand-bound, featuring hand-tipped images. 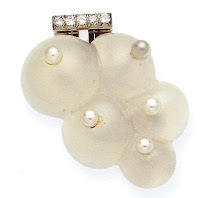 They are presented in a linen clamshell cases. 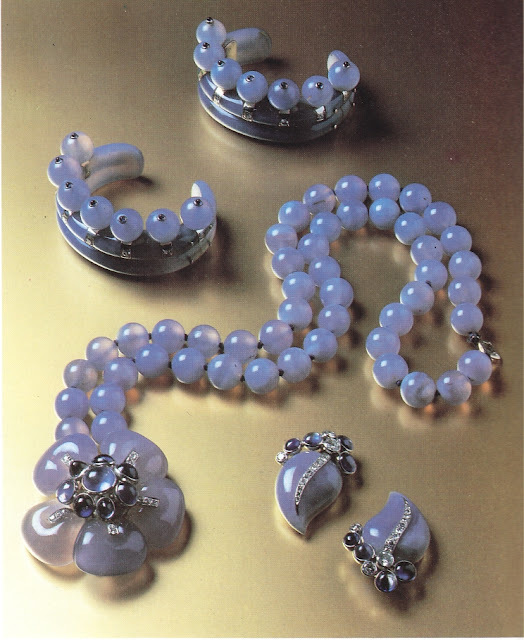 Labels: Assouline, Cartier, French, Graff, Jar, jewelry, Paris, Rene Lalique, Van Cleef and Arples, Verdura, Vivienne Becker.